Napster was shut down in 2002, but piracy's impact on the music industry was immediate and stark. 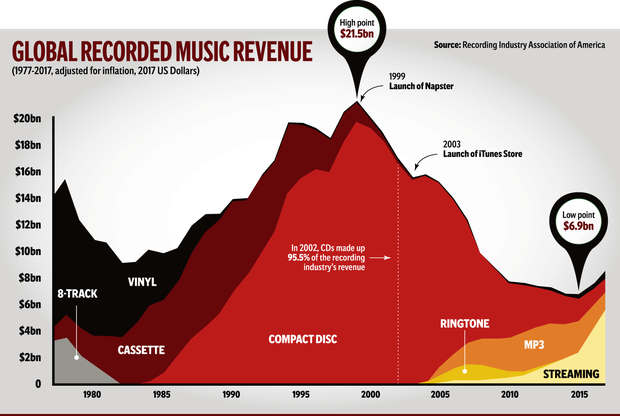 Music sales, which had been experiencing impressive year-over-year growth, began a decline that would continue for 15 years. It took a while for consumers to warm up to paying for a premium music subscription, but today, there's a basis for optimism.